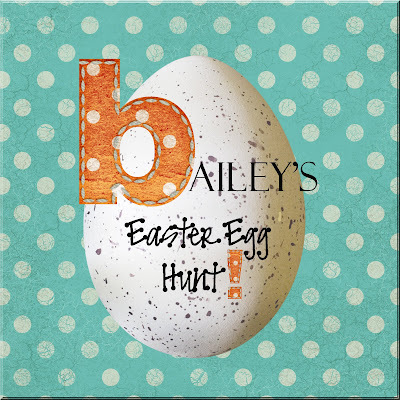 Bailey's Mom contacted me last week and asked me to create some party decor for her sons Easter Egg Hunt Party! She picked the most fabulous colors! I am posting this sneak peek because I just love how the decor is turning out! 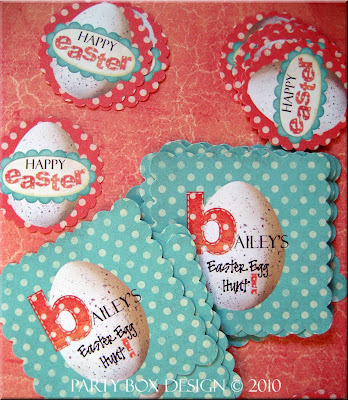 I am also making some cupcake toppers & party favor tags, so I will post pics of all the decor once I have finished. 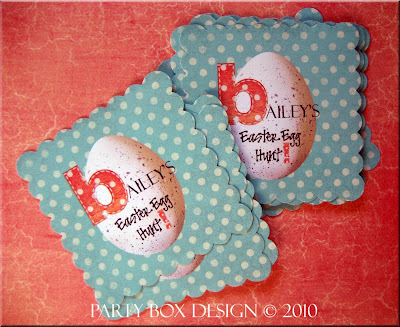 Pre-Made Easter party decor will be added to the site shortly!!! Please do not hesitate to contact me with any custom orders. too cute as usual! love the color combo! Omg I love them! 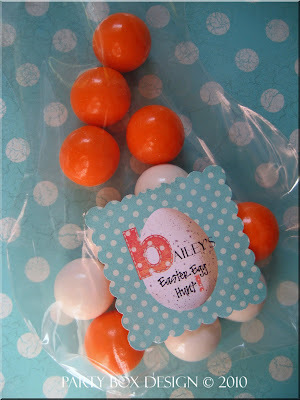 You would not believe it, I just brought some orange and blue gumballs from homegoods. I am going to use them just how you have it! Yeah! Super cute! I just love all these Easter Party decorations. Super cute! Love those colors! Thanks for your kind words!! How adorable are these?!!!!! You are very talented! Can't wait to see it all. I've been seeing so many cute gumballs at HomeGoods too! !